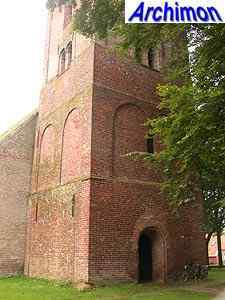 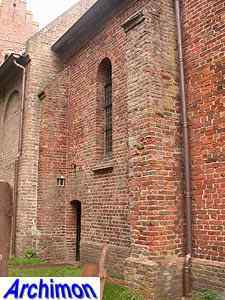 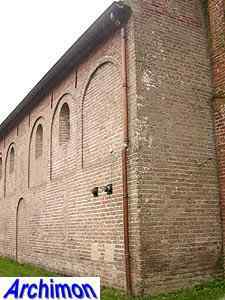 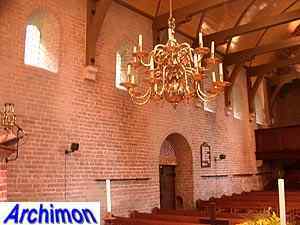 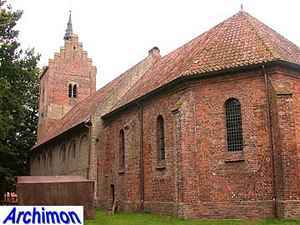 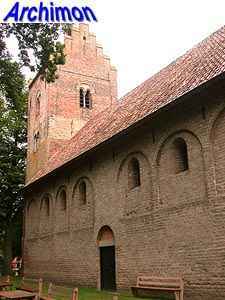 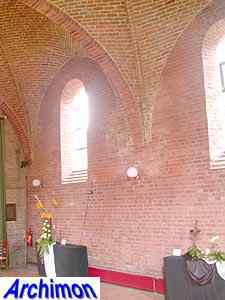 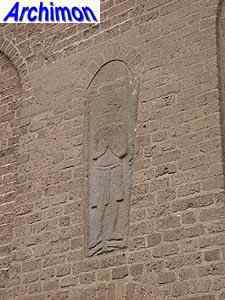 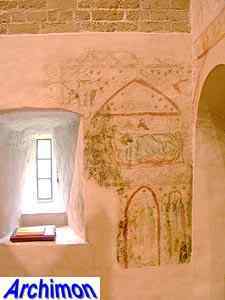 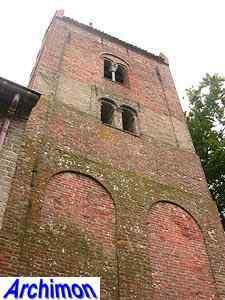 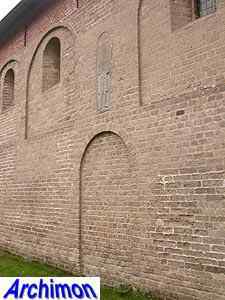 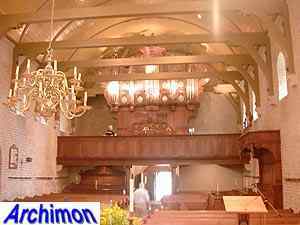 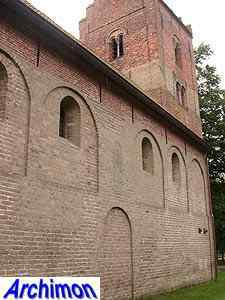 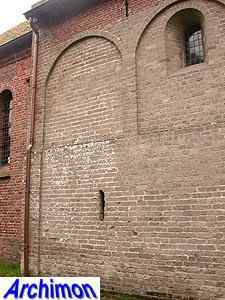 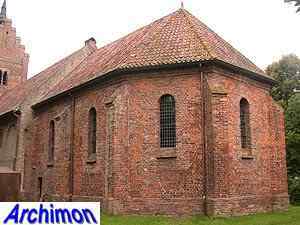 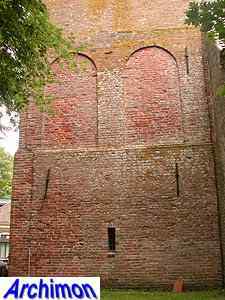 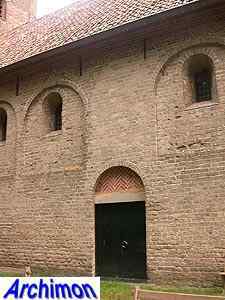 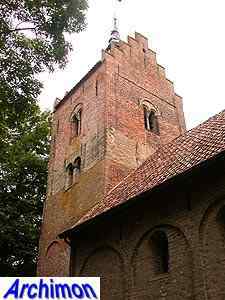 The church of Anloo is believed to be the oldest in the province of Drenthe. 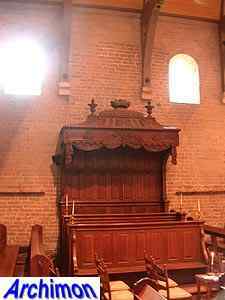 The one-aisled nave was built in ca. 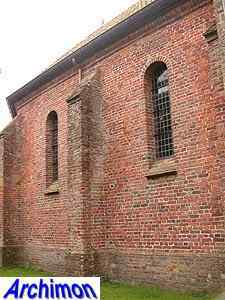 1100 out of tuff and replaced a wooden church. 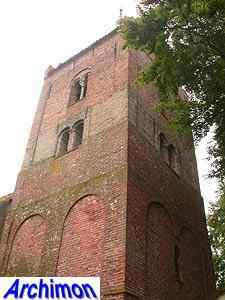 The tower dates from ca. 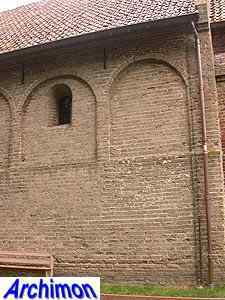 1200 but was possibly built around an older core. 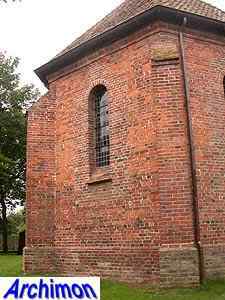 Originally it was without stepped gables and spire; these were in 1893-1894. 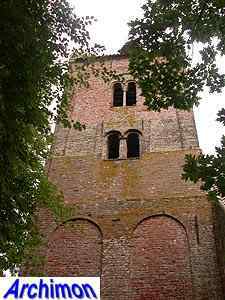 Both the nave and the tower are in Romanesque style. 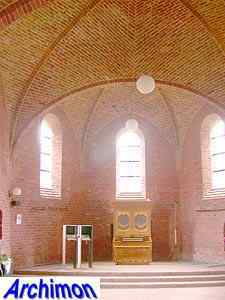 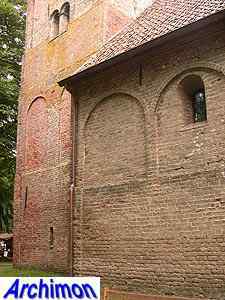 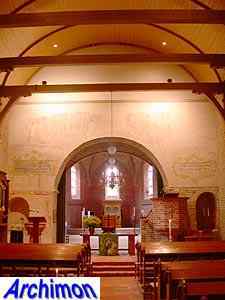 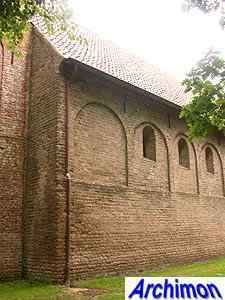 The long choir, which replaced the original apse in the 14th century, is in a simple Romanogothic style.